Some jobs do not pay enough to make ends meet. Additionally, taxes can set working poor families further behind as our regressive state and local tax systems place heavier burdens on those at the bottom than those at the top. The federal government and a majority of states have met this challenge with an Earned Income Tax Credit (EITC), one of the most effective tools for lifting families out of poverty. As the Brookings Institution states, “No other tax or transfer program prevents more children from living a life of poverty…” Research has connected the EITC to higher employment for single mothers, lower poverty rates and better health outcomes. Our plan will create a refundable Georgia Earned Income Tax Credit to benefit working families. This is a smart way to help all working families, but it will be especially helpful to family farmers, most of whom actually lose money growing our food. Among the quarter-million Georgians lifted out of poverty each year by the federal Earned Income Tax Credit, there are about 340,000 families who are contributing to the economy with a small business or farm. This year, inflation-adjusted net farm income is expected to drop to -$1,316 per household, the lowest level since 2002. Another pro-farmer program Stacey supports is the Georgia Department of Agriculture’s 2020 Vision for School Nutrition, a program which aims to have at least 20 percent of every meal in each Georgia public school to be comprised of Georgia products by the start of the 2020 school year. Vote for Stacey! To support her campaign, please donate and get involved. 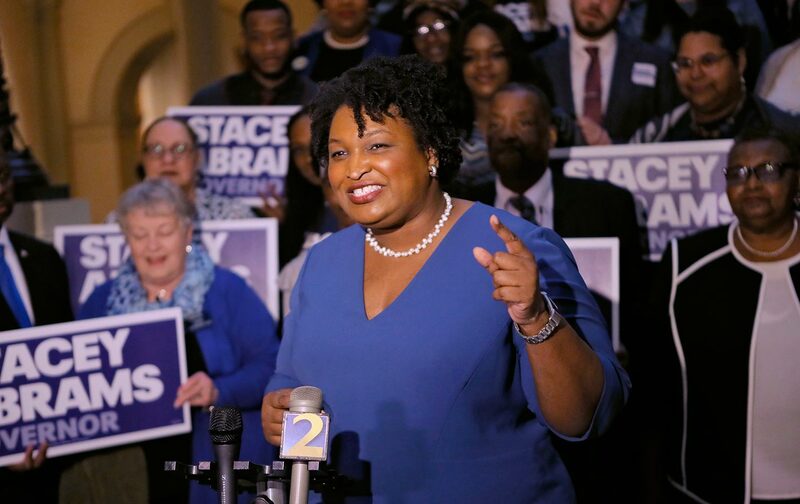 Why so few candidates in Georgia? There were some great candidates we endorsed in the Georgia primaries who unfortunately lost their races. And, we’re sure we missed some. If we did, please send us an email at info[at]citizensregenerationlobby.org.